Kansas City Fashion Week (KCFW) wrapped another fantastic season that showcased the best designers from the city, the Midwest and around the country. Nataliya Meyer was crowned Queen of the Saturday Runway last night after she debuted her epic spring collection. She was one of the only designers that provided the audience with variety as her models showcased multiple gowns and blouses that ranged from a stunning black cape evening gown to the “Lady and Swan” print da Vinci gown. 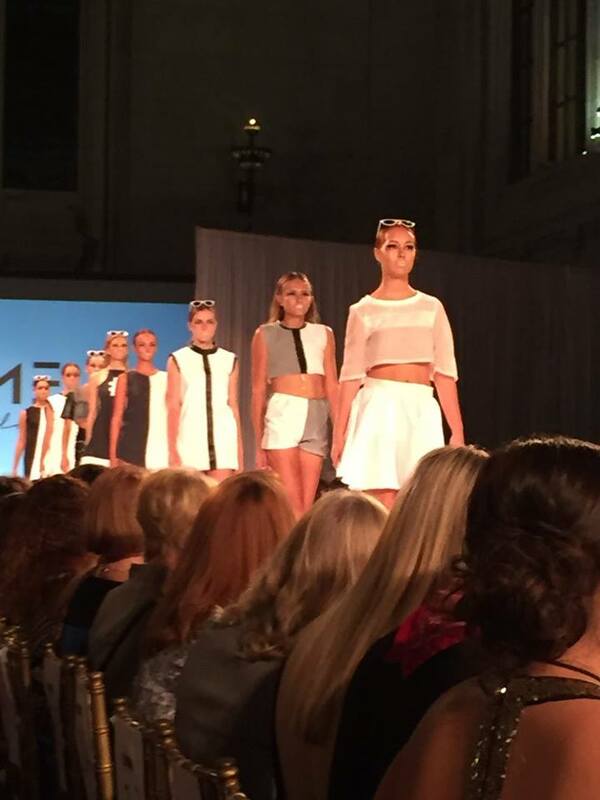 At 16-years-old, this rising Omaha fashion prodigy continues to blossom right in front of the KCFW audiences’ eyes. While her designs were gear towards the black, white and grey color lovers, the audience was impressed that Molly’s collection brought sugar, spice and attitude to the runway. She received the loudest applause of the night from the Kansas City Fashion Week Friday night attendees. Thursday night fan-favorite Redeux Kids transported the audience back to the 1960s-80s where floral designs and vintage fabric were kings. All 13 models received a chorus of “Awws” and applause as each of them walked down the runway. Since I started covering Kansas City Fashion Week in 2013, I have never seen such enthusiastic young models and they brought a new energy to the show. Congratulations, Redeux Kidz for showcasing one of my favorite portfolios of all-time. Designer JennaSea entertained fashion aficionados at both Wednesday’s Runway on the Rooftop and Friday’s runway show. Her designs that embraced women of all sizes made her an instant crowd favorite and it did not hurt that all of her models were bombshells. Because of her impeccable designs and amazing models, JennaSea made me a fan of showcasing swimwear at KCFW. 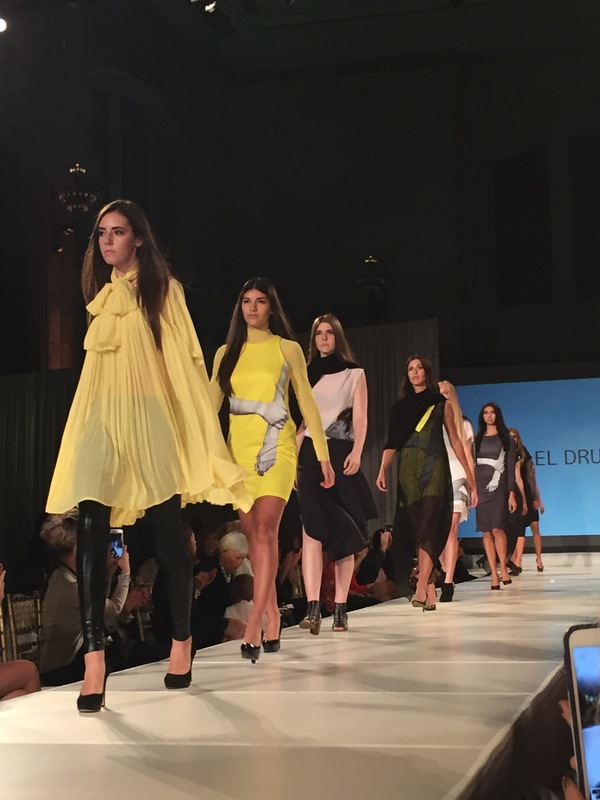 Project Runway alum and KCFW favorite Michael Drummond surprised the audience by adding color to his spring/summer collection. Some of my personal favorite outfits from his collection included a gold puffy skirt with black leather slacks (that would be a perfect outfit for any University of Colorado at Boulder female student) and a gorgeous red-black dress. What I loved about St. Louis designer Paulie Gibson’s ensembles was that it focused on the white and yellow portion of the color wheel and were influenced by the Far East. Paulie was also the very first designer to have a collection modeled by all guys. After seeing some of his outfits, I would be interested in wearing something from his collection. Alicia Janesko loves to throw a party! In fact, she pulled the best mic drop of the entire weekend with her outstanding set that ended the 2015 Kansas City Fashion Week spring-summer collection series. With a supporting cast that featured an intriguing freestyle rap by Kemet Dumas Coleman, hand painted fabrics and superb accessories by her sister, Jennifer Janesko and superb models wearing Alicia’s fabulous gowns, this segment was the cherry on top of the superb Saturday showcase ice cream sundae. 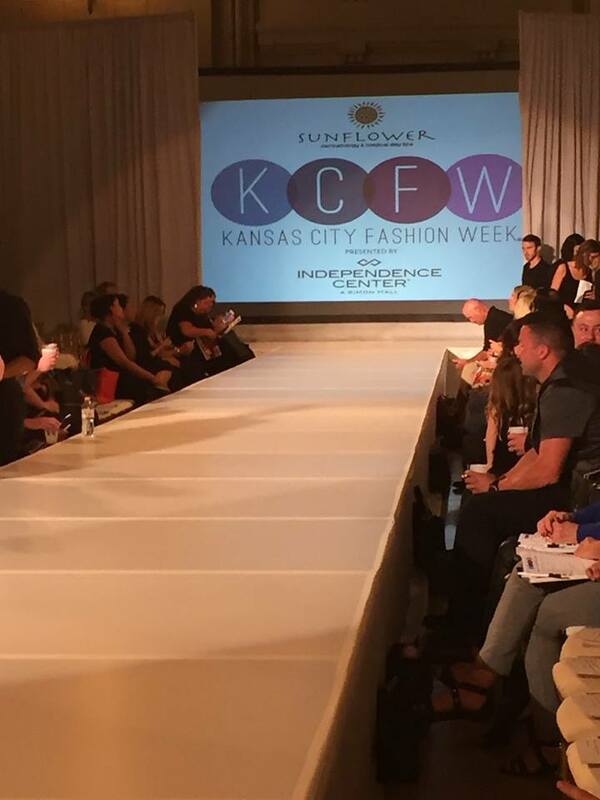 To learn more about Kansas City Fashion Week, visit their website! You can see my photos from the Saturday showcase on my Facebook page.